Product Introduction:Use this Mini HDMI cable to plug your Casio Camera/Camcorder into your HDTV and experience incredibly smooth, big screen playback of your Camera/Camcorder.Mini HDMI (C) to HDMI (A) cable allows you to connect your newer model portable HD devices such as HD Camcorders, Digital Cameras,... to the HDMI equipped HDTV, Projector, Laptop computer. 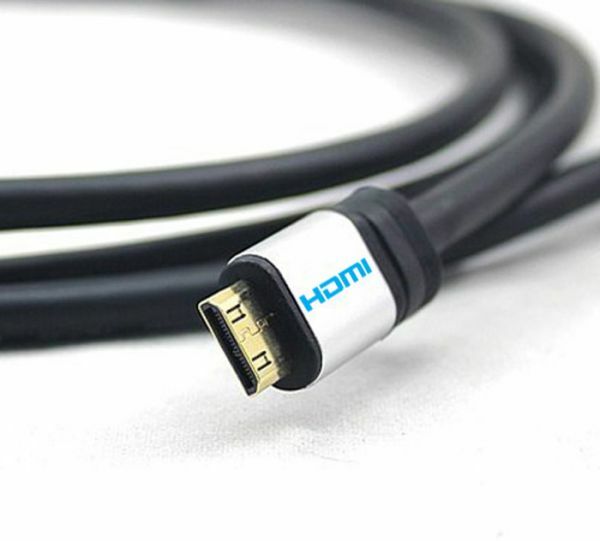 Use this Mini HDMI cable to plug your Casio Camera/Camcorder into your HDTV and experience incredibly smooth, big screen playback of your Camera/Camcorder. Mini HDMI (C) to HDMI (A) cable allows you to connect your newer model portable HD devices such as HD Camcorders, Digital Cameras,... to the HDMI equipped HDTV, Projector, Laptop computer.